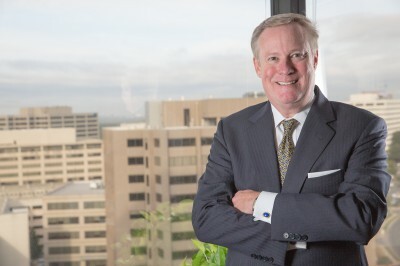 As a partner of Moore & Lee, LLP, Robert D. Windus focuses his practice on preparation of construction claims and resolution of disputes involving government contracts, bid protests and other commercial contracts. Since joining the firm, his construction litigation practice has involved the representation of multi-national clients in international arbitrations as well as domestic companies, owners, contractors and subcontractors. Mr. Windus has extensive trial and appellate experience before numerous federal courts, state courts, governmental agencies, boards of contract appeal and arbitration bodies. Mr. Windus’ involvement in international dispute resolution has included matters before the London Courts of International Arbitration, International Centre for Dispute Resolution and International Chamber of Commerce. Additionally, his practice has included international project development and client representation involving matters in Australia, Bulgaria, India, Indonesia, Pakistan, Turkey, United Kingdom, Saudi Arabia, Singapore, Thailand, Afghanistan and the UAE. Since the beginning of Mr. Windus’ professional career, he has been involved in the construction industry, first as a practicing engineer working for a mid-size contractor. His tenure started in the estimating division, assisting with the preparation of competitive and negotiated bids, including quantity estimation and pricing of work. Later, Mr. Windus moved to the field as an on-site Project Engineer and then as a Project Manager responsible for contractor compliance, change order negotiations, preparation/negotiation of claims and scheduling. Mr. Windus has recently lectured on international construction litigation at the International Law Institute in Washington, D.C. He lectured at the Sheet Metal and Air Condition Contractors National Association (SMACNA) 69th Annual Convention in Las Vegas, Nevada. Mr. Windus presented lectures on “Avoiding Construction Claims in Litigation” and “The Measured Mile and Other Methods of Quantifying Loss of Labor Productivity in the Construction Industry. He was a contributor to the 2004 Mechanical Contractors Association of America’s Management Methods Manual, Change Orders, Productivity, Overtime, A Primer for the Construction Industry. He has lectured on topics such as management of contract risks and contract negotiation, preparation and defense of construction claims, and international arbitration. Mr. Windus has spoken as a frequent lecturer at the “Testimony and Trial Techniques” seminars given by the Consortium of Universities (Georgetown, George Washington, American, Catholic and Howard Universities) and by the Washington Metropolitan Transit Police Academy. He is the author of the case note Braswell v. United States – Another Chapter in the Collective Entity Doctrine, 14 U. Dayton L. Rev. 715 (1990). Mr. Windus is a member of the American Bar Association’s Forum on the Construction Industry, Public Contract Law and Litigation Sections, the Maryland Bar Association and the District of Columbia Bar Association’s Government Contracts and Litigation Sections. Mr. Windus is also a member of the American Society of Civil Engineers. Mr. Windus was born in Bethesda, Maryland.